Home / Dog love belly rubs / Why Do Dogs Love Belly Rubs? Some dogs can't resist a good belly rub or scratch, and the reasons behind this is a concern to many dog lovers. A lot of dogs love belly rubs almost as much as playing fetch or chewing on a really good bone and others could go without the show of such human affection. So the question is, why do dogs like belly rubs? And is it strange if some dogs don’t? Also, Christine Case, an anthrozoology instructor at Beacon College in Leesburg, Florida, offers another suggestion about the origin of belly rubs for dogs. According to Case, a member of the Association of Professional Humane Educators and the International Society for Anthrozoology, feels that humans have modified dog behavior over the past thousand years due to domestication. "It would be difficult to determine whether dogs truly like this activity or if they have been trained to do so. 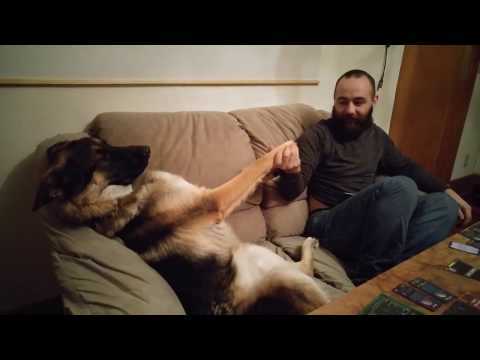 The context of the situation should be evaluated.” To really evaluate the situation, check out the below video of a German shepherd that wants his belly rubbed. Why Do Dogs Love Belly Rubs? DoglopedixSome dogs can't resist a good belly rub or scratch, and the reasons behind this is a concern to many dog lovers. A lot of dogs love belly rubs almost as much as playing fetch or chewing on a really good bone and others could go without the show of such human affection. So the question is, why do dogs like belly rubs? And is it strange if some dogs don’t?